Heartworm is a serious condition that affects many pets, especially dogs, every year. It affects both domesticated and wild animals alike. Heartworm can lead to severe lung disease and heart failure, damage other organs in the body and even cause death. Heartworm is spread by mosquitoes. Dr. Marcus Smith, DVM of Chattahoochee Animal Clinic further explains that “heartworms are spread via mosquitoes that harbor microfilariae (baby heartworms). When the mosquito feeds, these baby worms enter into the dog or cat. If the dog or cat is not protected by a heartworm preventative, then they will contract the disease.” The microfilariae eventually grow up to a foot long and will live in the heart, lungs and associated blood vessels of the host animal, causing slow damage to these areas unless treated. Who is at greatest risk for heartworm? Every dog is at risk for heartworm. According the American Heartworm Society, heartworm disease has been diagnosed in all 50 states. Dr. Smith says, “Dogs tend to be outdoors more often, so technically they are at a higher risk than cats. Common carriers of heartworm, such as coyotes and foxes, live around urban areas, so the spread via the mosquito is quite easy for the average pet in this country.” If your dog goes outside at all, even just to eliminate, it is at risk. 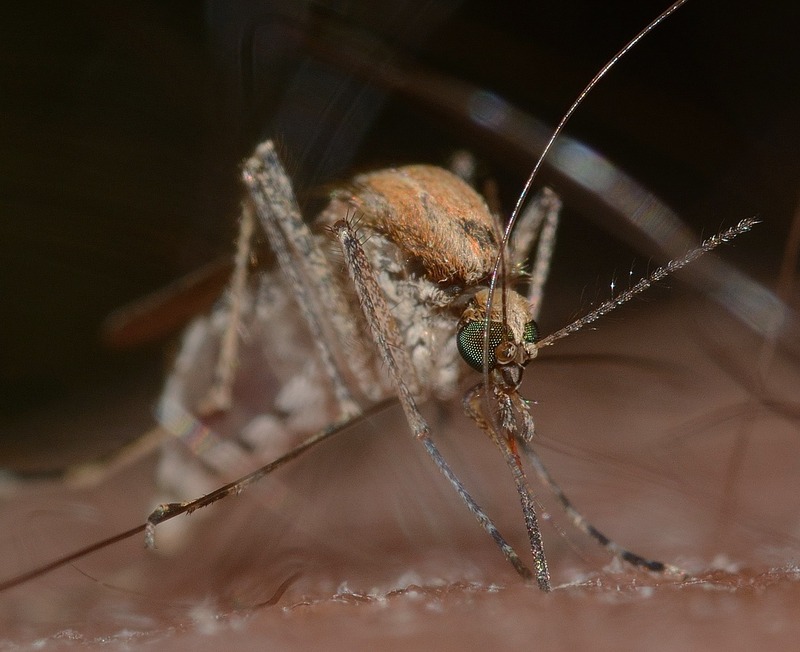 It just takes one bite from an infected mosquito for your dog to contract the disease. 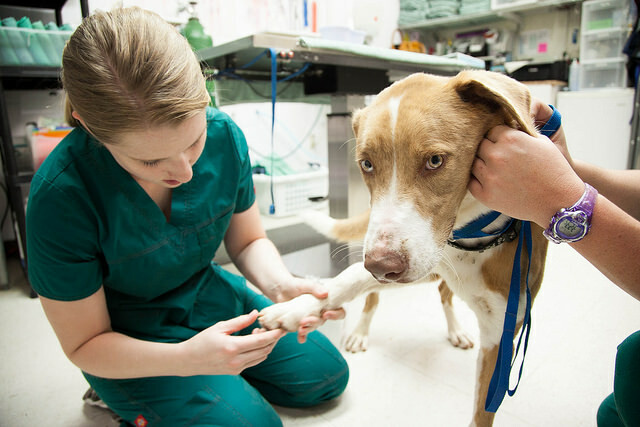 Dr. Smith says, “Many dogs in the early stages of [the] disease are asymptomatic. However, as the disease progresses, signs become more evident and common, such as weight loss, decreased appetite, exercise fatigue, [becoming] easily exhausted after minimal activity, and coughing. 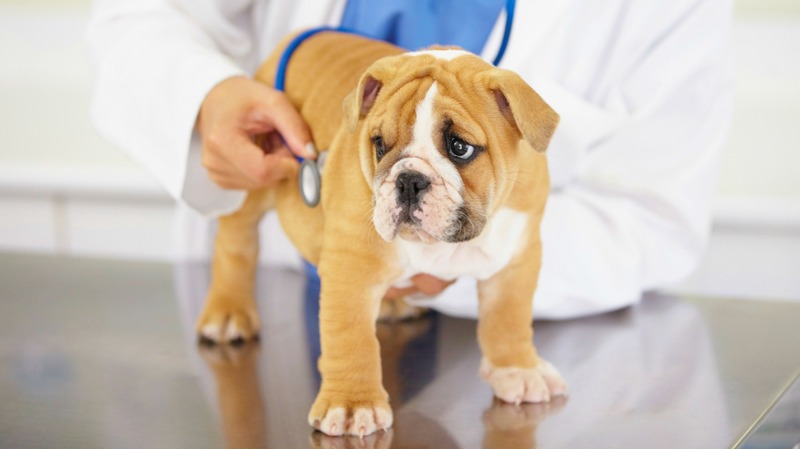 In severe cases, these patients present for labored breathing and heart failure.” Many dogs can go for several months before any symptoms show, which is why it’s important to get your pet tested yearly for the disease. At your pet’s yearly vet visit, a heartworm test is usually routine. Dr. Smith says, “It is a very simple, fast, inexpensive test that can be run at almost every veterinary clinic. These tests detect the presence of heartworm proteins.” Your vet should be able to tell you in a matter of minutes if your dog is heartworm positive or not. If the test comes back positive, there are treatment options. Heartworm treatment is expensive and hard on the dog. If you get a positive test result, your vet typically follows up with an X-ray to see how much damage there is, and to determine the amount of adult heartworms that are present in your dog’s heart, blood vessels and lungs. Once you have agreed to have your dog undergo treatment, your vet will want to make sure your pet is healthy and stable before treatment. “The treatment for heartworm disease is called Immiticide,” says Dr. Smith. “This treatment is administered via an intramuscular injection. The shot protocol contains a total of three injections. After the first injection, a second is administered 30 days later, and the third injection on day 31. During this treatment process, it is vital for the pet to be on activity restriction to avoid complications while the worms are dying off.” It’s typical for vets to prescribe an antibiotic and steroids during the treatment to help lessen the chance of a secondary infection as the worms die off and dissolve into your pet’s bloodstream. Your dog is then placed on restricted activity. All exercise and activity that would elevate your dog’s heart rate or increase blood pressure can force the dying worms through the blood vessels at a high rate. This can cause your dog’s blood vessels to clog with the worms, causing a blood clot. Six to eight weeks following the last injection of Immiticide, your dog will be tested again for heartworm proteins to make sure the heartworms are gone. What’s the best way to protect your dog from heartworm? A monthly heartworm prevention medication is the best way to protect your dog from the disease. 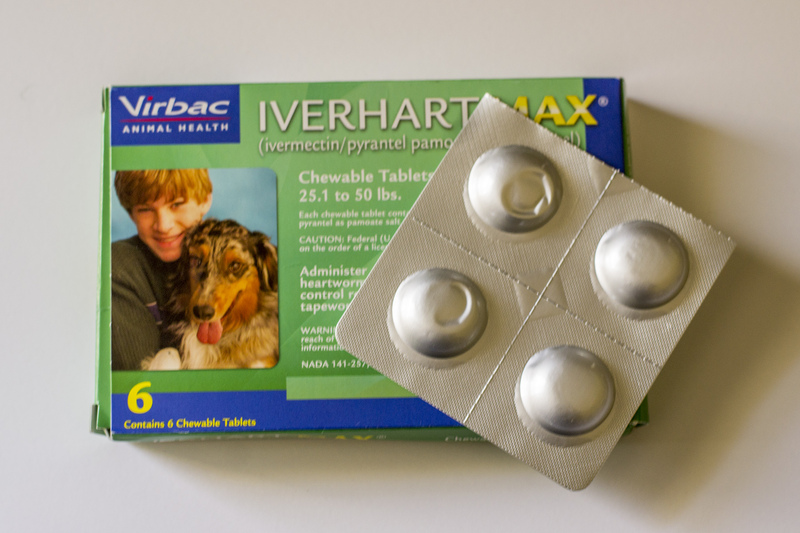 Most heartworm preventative medications contain ivermectin, selamectin, moxidectin or milbemycin oxime. The medication works by eliminating the larval stages of the heartworm parasite. This includes the heartworm larvae deposited by the mosquito as well as the following larval stage that develops inside the animal. Heartworm preventatives are the most effective and inexpensive method for preventing the disease. According to the American Heartworm Society, you should keep your dog on the preventatives year-round, no matter where you live. Although heartworm is a serious disease, it’s treatable and preventable. Keep your fur baby protected with monthly preventatives, and hopefully you will never have to deal with the extensive treatment.